Chicago has the best public transportation system to get from the airport to the City. Regardless if you’re traveling from Midway (MDW) or O’Hare (ORD – which is one of the Top 5 airports in the US), Chicago Transit Authority (CTA) can get you from the airport to downtown Chicago in about 45 minutes or less. No other major metropolitan area in the US has such an efficient public transportation system connecting airports to the City’s business district. 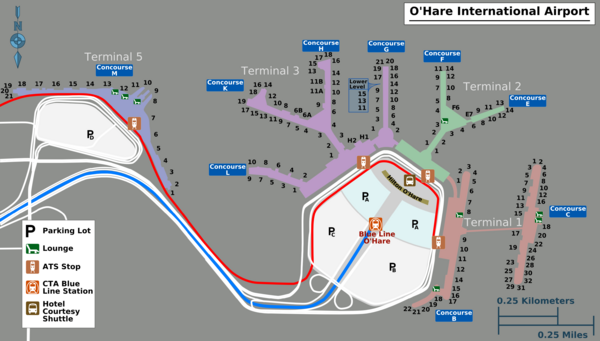 At MDW, there are clear signs and walkway from baggage claim that directly connects Midway Airport to the orange line Midway train station. The Midway train station is by the main garage of Midway Airport. You can get to Chicago’s downtown loop from Midway in under 30 minutes. The only downside to the Chicago CTA is they don’t run 24×7. Trains stop at midnight or 1:00am and restart at about 4:30am. Regardless, you can’t beat the speed; I still remember taking the 5:00am train from the city to midway for a 6:30am flight with plenty of time to spare. I don’t think there’s any other major city in the world where you only spend US$2.25 to go from the airport to downtown in less than 45 minutes. Taking a cab from ORD or MDW to downtown would cost you at least US$50, and the ride would be significantly slower with all of that traffic. I do trust most of the basics you have introduced in your submit. They are really persuading and may undoubtedly do the job.. 11+ tutoring Nevertheless, the actual content are so quick for beginners. Is it possible you you should expand these people slightly via future time frame? Thanks for the publish.